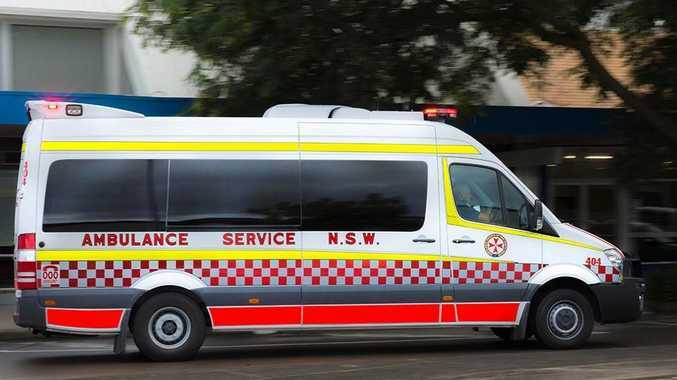 A PERSON is trapped after a head-on crash on the Pacific Highway. A NSW Ambulance spokesman said six ambulances were called to the scene, between the Gulgan Rd exits at Brunswick Heads about 4.45pm. He said one person, believed to be a woman, was trapped, and was suffering a suspected broken arm and broken leg. The spokesman said three to four cars were involved in the collision, two of which had collided head-on. "A yellow (southbound) car veered off the road... over the median strip into northbound lanes," he said. "Two cars have hit head-on." It's not known whether any further people were injured. It's understood traffic is blocked in both directions.